Independent lens giant Sigma has today unveiled a 20mm f/1.4 lens, due on sale next month priced £849.99, hailing it as a manufacturing breakthrough. 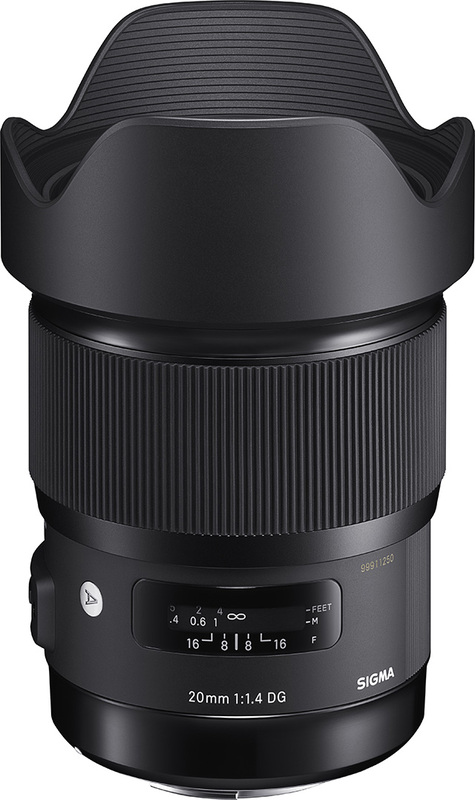 Trumpeted as the world’s first 20mm f/1.4 lens designed for full-frame DSLRs, the 20mm f/1.4 DG HSM will be out in Sigma, Nikon and Canon lens mounts, as part of Sigma’s growing Art line-up. It boasts a large double-sided aspherical lens, measuring 59mm in diameter. ‘Lenses of this type had been considered extremely difficult to manufacture,’ Sigma said in a statement released today. Features include five special low-dispersion glass elements to help cut chromatic aberration. Sigma claims that its ‘minimal distortion’ makes the lens ideal for photographing landscapes, starry skies and architecture. The newcomer incorporates a nine-blade rounded diaphragm and a Hyper Sonic Motor, for ‘high AF speed’. The 15-elements-in-11-groups lens has a minimum shooting distance of 27.6cm.